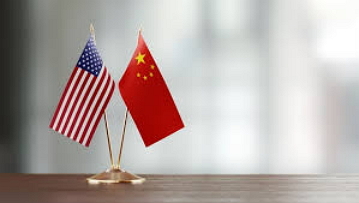 There is a vast chasm between the American and Chinese cultures regarding foundational philosophical assumptions, historical influences, economic systems, business strategies and tactics, and myriad business-related interpretations and understandings. These differences create a great challenge for achieving successful outcomes as a result of business negotiations. In non-verbal communication, Americans tend to make a lot of eye contact. This is considered to be a way of showing interest and good will. The Chinese like to show respect by doing exactly the opposite and avoiding eye contact. Americans believe that the relationship develops after a contract, while the Chinese believe that there needs to be a relationship before a contract gets signed. Building a relationship takes time and is a drawn out process and can cause negotiations to take longer than expected. The Chinese do a lot more research about the opposing company than Americans typically do when preparing for negotiations. Education in China incorporates direct instruction and students do not ask a lot of questions. This has lead Chinese people to accept things without asking too many questions. The Americans use a constructivist approach to education and questioning things is encouraged. There is more focus on taking care of the group rather than individual interests.Friends are expected to help each other and there is a mistrust of authority. Americans have what is called a low context culture and see themselves as individuals. They use the legal system to enforce contracts in lieu of trust-based relationships. The Americans like to break things down into individual elements and look at them one at a time while the Chinese will jump from one subject to the other and talk about everything all at once. The jumping around seems to never settle anything from the American point of view. The Chinese businessperson is usually in it to advance their personal political career. They want to be compliant with the current policies and guidelines. They are more likely to avoid risky situations. The westerners are in it for personal gains, usually monetary. They seek to increase their own compensation. Time to Test your Knowledge on International Negotiation by Practicing Questions!